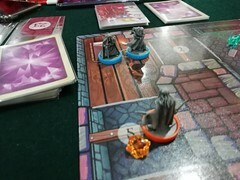 If you are reading this post, then you must be someone who plays board (and card) games. You would also likely be someone who already knew about Boardgamegeek, which is the handiest resource to discover all things board games. From here, the road diverges into either you are a Boardgamegeek Patron (they used to call us “supporters”) or you are not yet one. Boardgamegeek is committed to remain as a free resource yet they also have expenses that need to be covered. And that’s where the Patron’s contribution comes in. 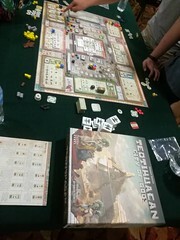 From as low as USD15 you can do your part and contribute to the Boardgamegeek Patron support. Learn more about becoming a Boardgamegeek Patron. 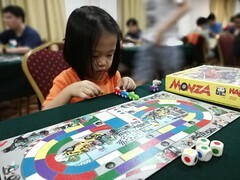 I would love to see more of our Malaysian boardgamers chipping in their support, and since this is the period when Boardgamegeek traditionally run their End-of-Year Geek Support drive, I thought this is a good opportunity for Boardgamecafe.net to provide some incentive for your kind patronage. 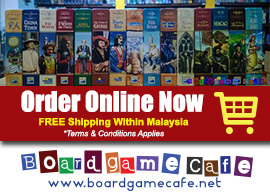 Boardgamecafe.net would like to offer a RM30 rebate voucher on your webstore order if you sign up as the 2018 Boardgamegeek Patron (min USD15). If you are a returning Boardgamegeek Patron, we have even better news for you. For each year you have supported the Geek, we’ll give you a RM20 rebate voucher. How does the RM30 rebate work? To qualify for the RM30 rebate voucher, you should be a Boardgamegeek Patron (sign-up here) with a 2018 Patron microbadge. This means your contribution should be upwards of USD15. Place an order thru our webstore https://boardgamecafe.biz and apply this promo code “BGG2018“. Min order of RM200 applies. Exclude Kickstarters & Preorders. No restriction otherwise on games/ accessories/ sleeves/ bundles. Does not stack with other promo codes. Free shipping applies as per usual T&C. In the comments pls quote your Boardgamegeek Username (we’ll check to confirm you have the BGG 2018 Patron microbadge). Any order without this comment or with a username that does not have the BGG 2018 Patron microbadge will be cancelled – and if any payment has been made, we’ll refund in full). This promo code can only be used once per BGG username / order. This promo ends 15 Jan 2019. What about the RM20 rebate? Min order of RM200 applies, exclude Kickstarters & Preorders, otherwise no restriction on products, does not stack with other promo/discount, free shipping as per existing policy. In the comments, pls quote your Boardgamegeek Username for us to do validation. This promo code can be used as many times (in separate orders) as you’ve supported Boardgamegeek in the past for eg if you have supported BGG as Patron in the year 2014, 2016, and 2017), you can use this voucher code three times (ie three separate orders). If I’ve already contributed to Boardgamegeek in 2018, do I still qualify for this promo? I’ve not yet contributed to Boardgamegeek before but I would like to start now. Can I use both promo voucher codes? ANSWER: If you are contributing to Boardgamegeek for the first time this year, then you can only use promo code “BGG2018”. Next year however (and if we are running this same promo), you’ll be able to use both BGG2018 and BGGFTW promo codes. I’m going to contribute USD100 to Boardgamegeek for this year. How many times can I use the BGG2018 promo code? What happens when I submit a second order using the same voucher code BGG2018? Why do I need to tell you what’s my Boardgamegeek Username? Why can’t your system track the one-time usage or cross-check direct with Boardgamegeek? ANSWER: While our webstore system has the ability to support promo voucher codes, it’s not an sophiscated-level system that can do the more fancier stuff like integrate with Boardgamegeek and individual Username to be able to track and validate the number of usage. So we are going to use a manual concierge method to do the validation, and thus requires your cooperation to provide us with your username and also trust you’ll apply the code for your purchases once. For the previous years of support, how many times can I use the promo code BGGFTW? As many times as I’ve supported BGG in the past years? Really? Do you mean if I’ve been supporting Boardgamegeek since 2005 without fail, I’ll be able to apply the promo code BGGFTW for 13 orders (2005-2017) for a total RM260 rebate??!! ANSWER: Yes. If you indeed have been supporting Boardgamegeek since 2005 without fail – and have a microbadge to show in your Geek Profile from 2005-2017, you can submit 13 orders for us and apply the code BGGFTW for each one. Wait. Does this person even exist? ANSWER: Haha.. have some faith in your fellow gamers la. Firstly I myself have been contributing to Boardgamegeek since 2006. And I’m pretty sure there are some fellow gamers who have contributed more than myself. In fact I personally know a local gamer who has more badges than me. There are many #crouchingtigerhiddendragon around us ler. tsk tsk. Are there any restrictions on which games / accessories / sleeves / bundles / promo items that I cannot buy with this promo codes? ANSWER: The only exclusion is for Kickstarters and Preorders. Otherwise as long as the item/product is in stock you can add it to your cart and the promo code will still apply. Can my order include the recent new arrivals including Essen Spiel games? ANSWER: Yes. If you wish to see the list of new arrivals, you can browse this 2018-11 Nov Arrival listing. What about items not yet in stock or items arriving next month etc? ANSWER: Unfortunately the promo only applies to current in-stock items. But you have until 15 Jan to use this promo code so perhaps by then your item may have arrived. Alrite, you got me convinced. Take my money.. how? Firstly if you are not already a BGG 2018 Patron, go here to contribute. Once you have contributed, check to make sure your Geek Profile shows the BGG 2018 Patron microbadge (min contribution USD15 required). For support or issues regarding your Boardgamegeek Patron contribution, pls refer to Boardgamegeek website. Then place an order thru our webstore (min order RM200) and use promo code “BGG2018” to apply a RM30 rebate from the total amount. 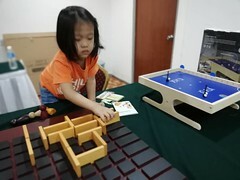 If you still have questions that are not answered by the above, feel free to drop us an email at webstore@boardgamecafe.net or whatsapp 012 2081780 and we’ll get back to you promptly. 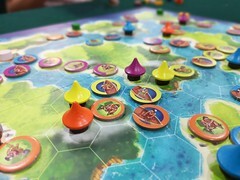 Lastly to all those who have contributed to Boardgamegeek as Patrons – whether you take up our promo rebates or not – everyone at Boardgamecafe.net would like to thank you on behalf of the boardgaming community for helping us to keep one of our most handy resources (BGG) up-n-running for another year! 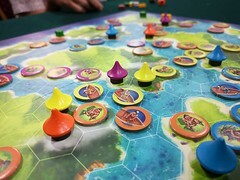 Note: Boardgamecafe.net (BGC) is not affiliated to Boardgamegeek (BGG) in any way and neither do BGC get any rebate/commission from your patronage to Boardgamegeek.